One of the things I love about the blogging world is that the 'pay it forward' notion is so prevalent. Bloggers help out other bloggers. 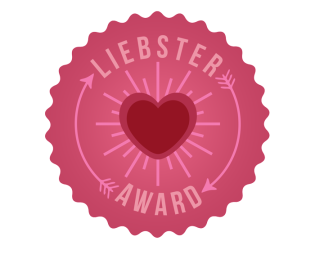 And that's what the Liebster Award is all about. I was nominated by the lovely Jess over at The New Mum Blog. Jess is a fellow Aussie Parenting Blogger and we found each other via the Facebook group we are apart of. Jess writes all about being mum to her little boy Leo. I loved her incredibly honest post about becoming a parent - The Frightful Ten and another favourite was the humorous The Food's Sometimes Bland But the Company's Not. Thank you for the nomination Jess - here are my answers to your questions. 1. If you had one hour to yourself, no commitments, what would you do for you? Just one hour? Hmmm, a pedicure following by a bit of shopping if I could squeeze it in. It is pure bliss shopping without a toddler who refuses to sit in her pram! 2. $10,000 is deposited into your account for adventure purposes only, where do you go? Wow! I would have to say I'd go to Queensland, explore the islands and the reef, go on all the rides at the Gold Coast theme parks. Is this adventurous enough for you Jess? 3. What time do you set your alarm? On work days, 6:00 am so I have a bit of time to get ready before Miss M wakes up. On non-work days, my body clock alarm usually wakes me up between 6:30 - 7. But I'm an early to bed kind of girl. 4. What book are you reading at the moment? Should I read it? Gone Girl. Decided to read the book before seeing the movie. And yes you should! 5. One word to describe your personality? 6. Best date you have ever been on? McLaren Vale (here in SA) with hubby in our very early days (November 2008). We had a great lunch and went to a few wineries. It was kind of the turning point between seeing each other and becoming a couple. 7. What was your favourite childhood toy? I had a toy 'Fat Cat'. Does anyone who grew up in the 80s remember him? Do you remember he used to tell all the children to go to bed at 7pm just like the modern day 'Giggle and Hoot'? He went everywhere with me, got left at a variety of places - the fish & chip shop is one I vaguely remember. 8. What would you rather, coffee, tea or juice? 9. What is your favourite CD to drive to? Snow Patrol - Up To Now. It's their greatest hits album. Love it! 10. What was your greatest achievement of 2014? I've got three. Raising my daughter the best way I knew how. Successfully returning to work part time and teaching a wonderful class of five year olds. And starting/maintaining this blog teacher types! You would have probably seen/read about my collaboration with Alison in November last year when we compiled a collection of 20 Busy Bags. Alison's blog is a lovely place of nature play and adventures she has with her son. She is also an Adelaidian blogger like me! Another Adelaidian blogger, Lauren writes about fashion food, music, events, books and much more. I loved her "Letter to Adelaide" she included on her about page, and her tag line "A little nook of loveliness" drew me in on my first visit. I started following Kate early in my blogging days, around about the time she welcomed her son Hudson (she also has a daughter Ella hence her clever little blog name). Kate has a passion for supporting local business, and is also a teacher from Melbourne. 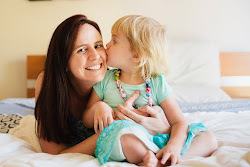 Danielle is a blogger and teacher from Melbourne and writes about food, fitness and family. She has two boys and is passionate about healthy eating and cooking. I found her blog through this post - Is your child ready for school? Rachel's blog would have to be my 'go to' blog for new hands on learning experiences for my class. She has loads of inspirational ideas about a variety of topics, as well as literacy and numeracy. Rachel is from England. Sue is also a teacher on leave spending time and blogging about her adventures with her son. I found her via the "Love to Learn Linky" a while back. We started our blogs around about the same time. Sue wrote a fantastic A-Z Character Series last year which I really enjoyed following. Here are my questions for you ladies, I'm looking forward to reading your answers and getting to know a little more about each of you. 2. Tell me about your first ever blog post and how does it compare to your writing now? 3. What advice would you give to a blogger starting out? 4. Share below your - all time - favourite photo from your blog. 5. Favourite social media platform? 9. One word to sum up 2014? 10. One goal for 2015?